Time spent with family is priceless and can often provide us with amazing lifelong memories. However, it can be hard to disconnect from the distractions of our busy everyday lives. These family-friendly outdoor activities provide fun ways to bond with your loved ones in the great outdoors. Try something new and take your family on a playground road trip. Load everyone in the car and peruse surrounding neighborhoods for new playgrounds to try out. At the end of the day, have everyone rank their favorites. Family camping trips are an inexpensive way to spend quality time together. Disconnect from your electronics and pitch a tent in your back yard or find a nice campsite near you. Before you go outside, brainstorm a list of items that you may find in nature. Then head over to your favorite park and try to find every item on the list. To make the activity more competitive, split into teams and see who can complete the scavenger hunt first. This classic family activity can be done any time of year. Bundle up and try your hand at ice fishing or rent a boat and cast your line. If you're lucky enough to catch something, bring the fun home with you and grill up a nice fish dinner. Cozy up around the warm flames and share stories while roasting tasty treats over the fire. 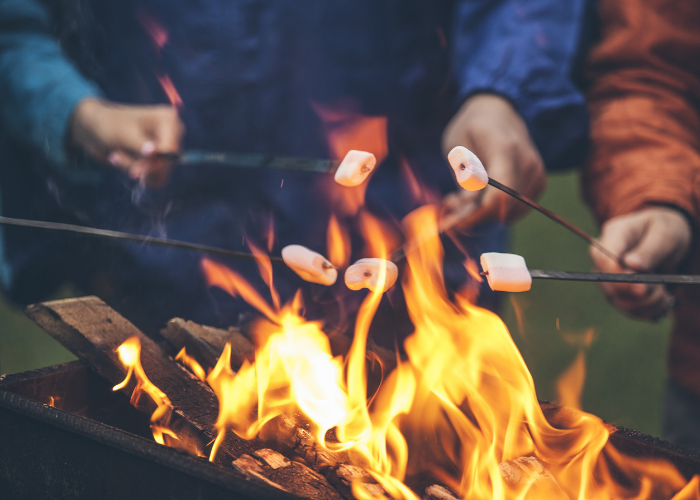 Campfires provide the perfect setting for singing campfire songs, playing charades, or seeing who can roast the perfect marshmallow. Unleash your sense of adventure on an exciting family hiking trip. To get your kids more involved, let them take turns leading the group. Don't let cold weather discourage you; there are plenty of beautiful hiking trails to explore in the winter. Just make sure to bundle up! Teach your kids the value of teamwork with a fun game of soccer or flag football. Team sports provide you and your family with an opportunity to exercise and can be played almost anywhere. If you need more players, invite your neighbors to join in. These family-friendly outdoor activities are sure to help you form lasting memories with your family year-round!